The compact, agile and robust electric power tool vacuum cleaner. 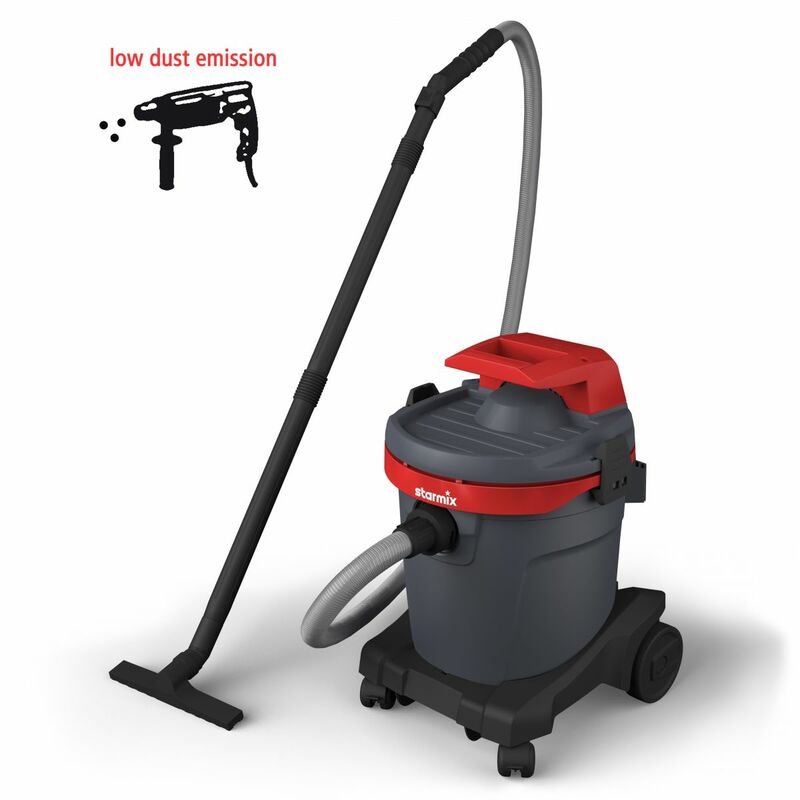 Perfect for quick use at home, in a hobby room or in the workshop, when working with low dust emission. Useorientated accessories and sophisticated detail solutions make the new Starmix all-purpose vacuum cleaner a helpful allrounder - everywhere that cleanliness is important. With intergrated appliance socket for conneting to the power tool and accessory compartment with 6 holding positions for wobble-free storing of all accessories during work and transport.